Please fill out the form below to sign up for The Sugar Beat, ASA’s regular email newsletter. Fueled by a reliable supply of affordable, high-quality, homegrown sugar, candy companies are expanding here in the U.S., setting new sales records, and enjoying impressive profits. Unfortunately, Big Candy lobbyists rarely share the good news with lawmakers and instead cry poor in their attempt to outsource America’s sugar production. 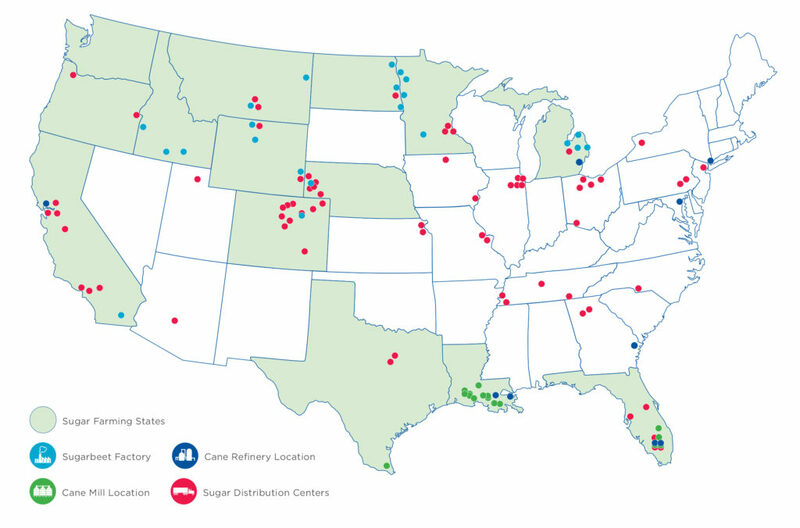 America’s sugar producers support 142,000 US jobs in 22 states and generate nearly $20 billion a year for the US economy. US sugar prices have plummeted more than 50% since 2010. Sugar farmers don’t receive government subsidy checks, and US policy operated without taxpayer cost from 2003 to 2012. Sugar costs less today than when Jimmy Carter sat in the Oval Office, yet the price of candy, cookies and other sweet treats continues to increase. Candy companies unsuccessfully lobbied for a sugar subsidy during the 2008 Farm Bill that would have cost taxpayers an estimated $1.3 billion a year. The world sugar market is a thinly-traded, heavily-subsidized dump market and is the world’s most volatile commodity market.